Thank you, Perry Art Park Sponsors! Tennis Courts Resurface Project – Complete! 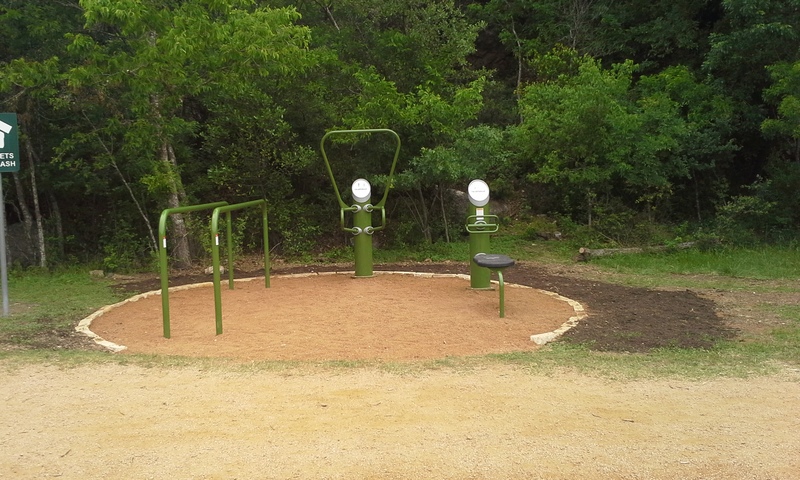 In the spring of 2014 two fitness stations were installed at Perry Park thanks to an Austin Parks Foundation grant, Friends of Perry Park, the hard work of many volunteers, PARD and HPWBANA. 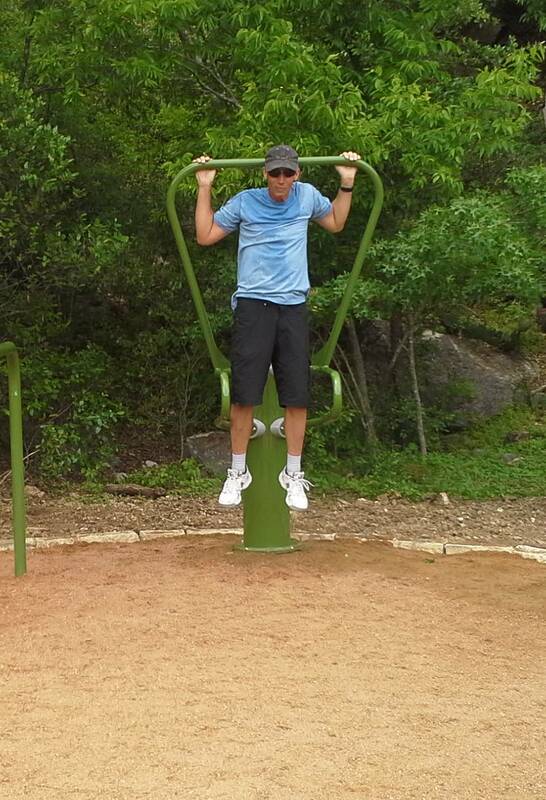 Back in 2009, a local fitness trainer contacted HPWBANA to discuss the possibility of installing fitness stations in the park. The idea was to have something like the fitness stations at Auditoriums Shores, which are very popular with the fitness community. The spring family fitness classes at Perry Park sponsored by HPWBANA really got the project moving. 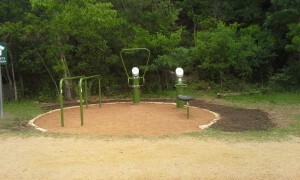 Quarry Fitness Station: This station is located deep in the quarry along the running track. 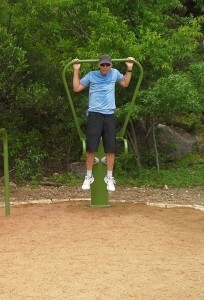 It has parallel bars, a sit-up bench and pull-up/dip bars. Upper Fitness Station: This station is near the upper soccer field on the wooded side of the running track. It contains an assisted row piece of equipment. The goal was to have the stations blend into the natural area as much as possible while being easy to find. This equipment is expensive so the Friends of Perry Park (the park adopter) applied for an Austin Parks Foundation grant to help fund the project. HPWBANA provided matching funds. 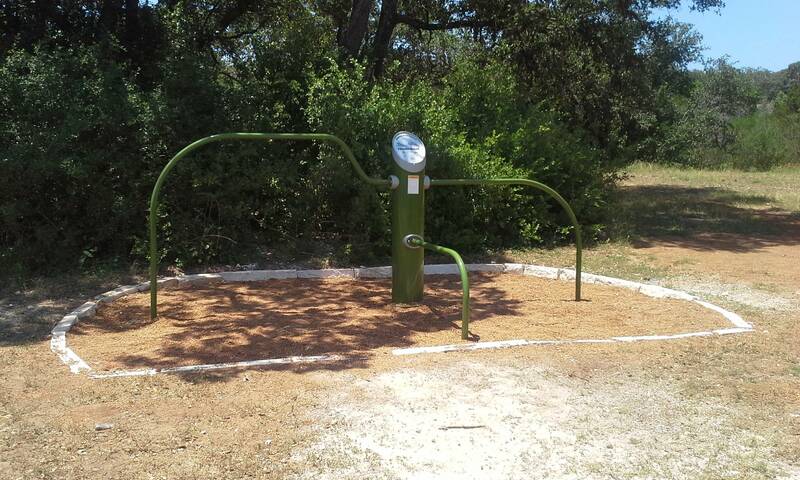 Austin Parks Foundation grants come with a volunteer matching component. A neighbor led this effort by engaging the fitness community to help construct the pads. This was hard work involving lots of digging and moving tons (literally) of material to the area. 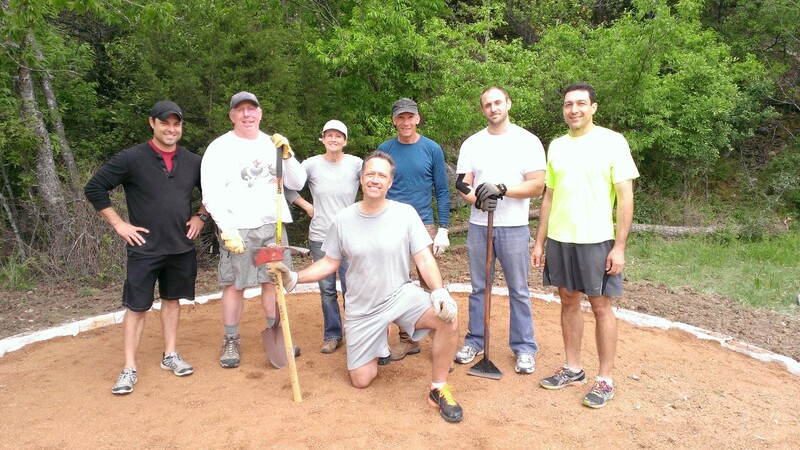 Also for the volunteer component of the grant we held monthly workdays to restore the nature trail. Little Helping Hands came out for monthly workdays, along with the Green Team, Girl Scouts and Cub Scouts. Friends of Perry Park tallied 542 volunteer hours towards this project over several months. Many thanks go out to Austin Parks Foundation and the many volunteers who helped out!